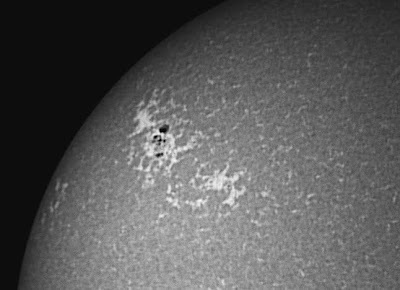 A Starlight Express MX716 monochrome camera was used with a Williams Optics ZS11, 80mm refractor. The Cassini division is visible and there is just a hint of the 'dragon' storm. 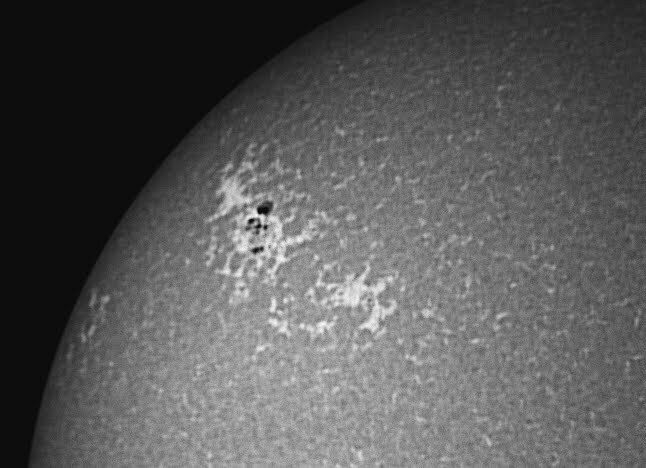 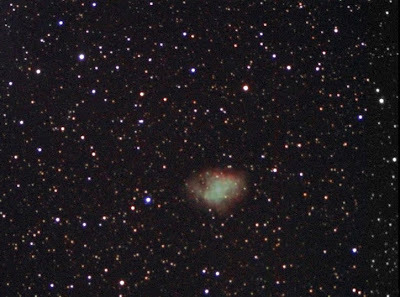 I imaged AR1164 with a DMK camera fitted with the lens assembly from a x2 Barlow through a H-alpha PST and a Ca K-line PST. 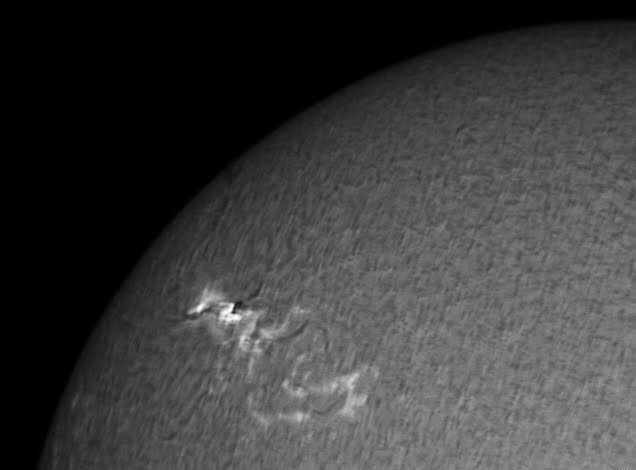 AR1164 is very bright in H-alpha and could produce larger flares. 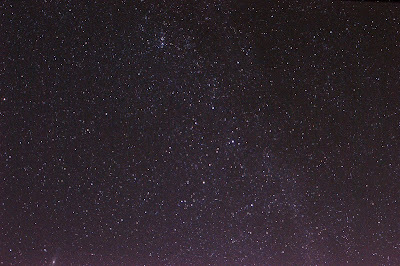 The double cluster in Perseus at the top of the image and the Andromeda galaxy at the bottom of the image are both easy to see. 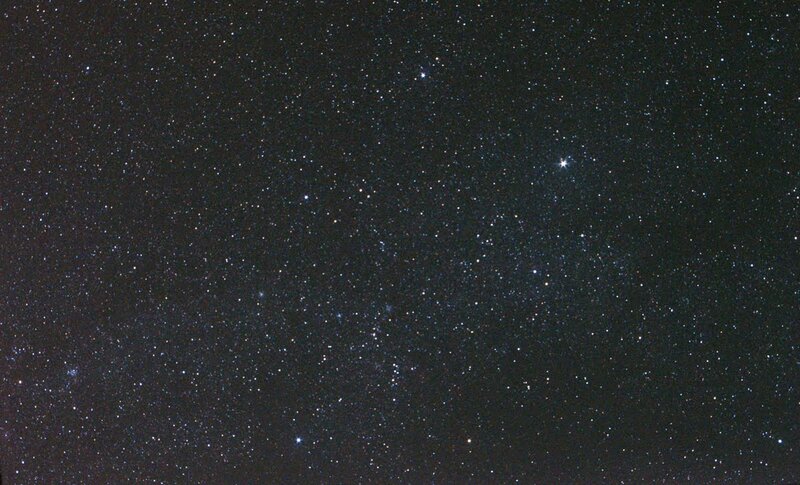 So many stars of the Milky Way are visible that the main 'W' of the constellation is almost hidden. 20, 30s images of Auriga were captured with the same settings. 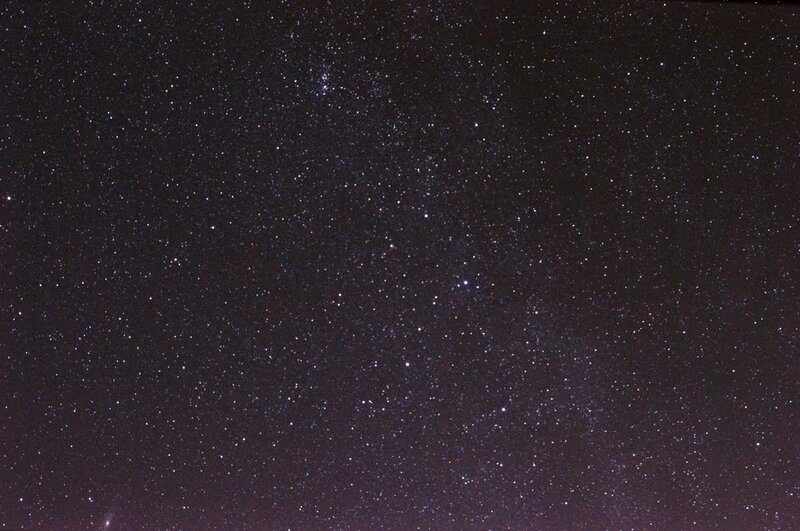 M35, M36, M37 and M38 are all easily visible in this image. 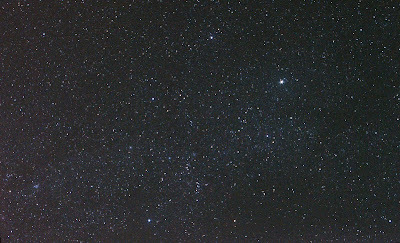 These images are best viewed larger.